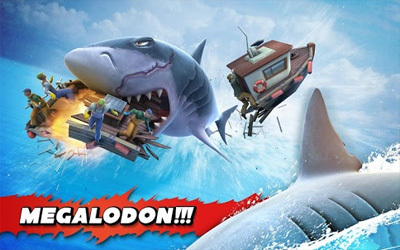 Previous version Hungry Shark Evolution 5.4.2 apk for Android will help you to downgrade or install older app easily. This is one of the best Arcade apps. Catch the ELF and collect jawsome goodies! Equip the new GINGERBREAD BABY, the delicious new sidekick for your shark! Chomp on seasonal challenges and PRIZES!